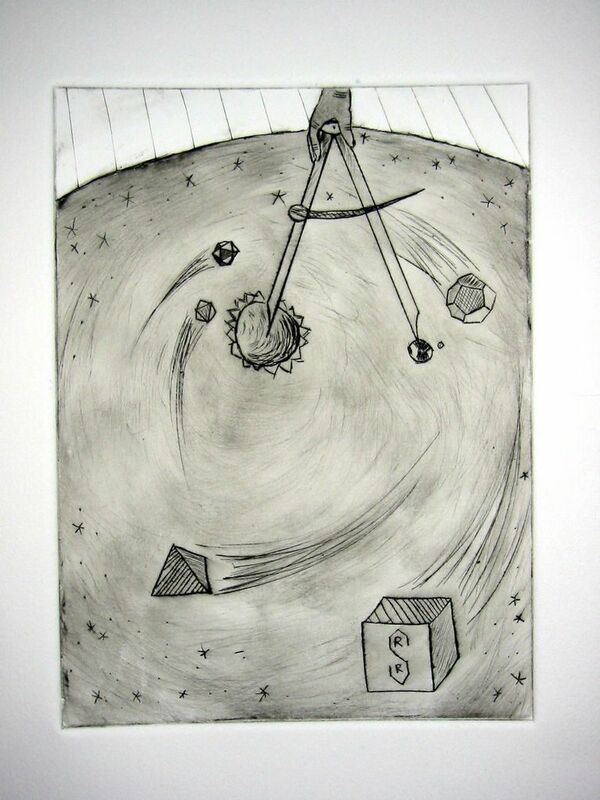 Today was the last day of the printmaking course. I’m really happy with how it went. 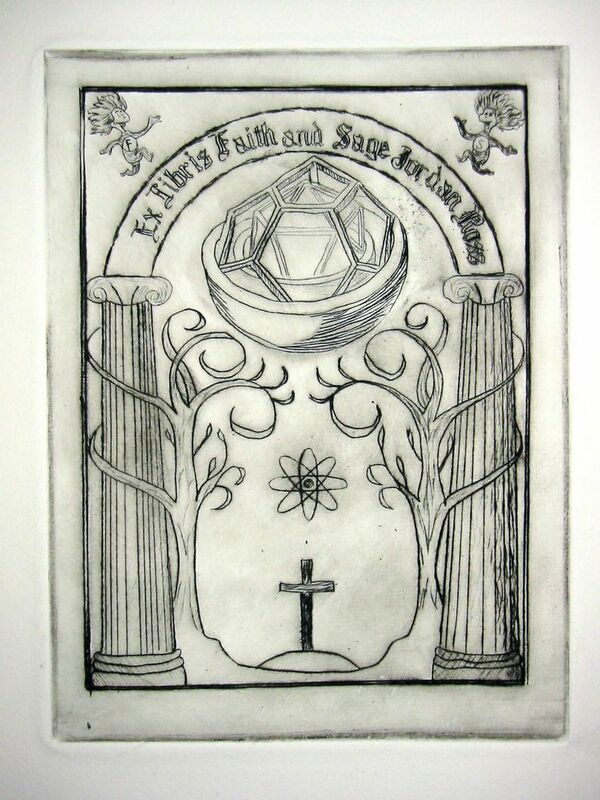 I ended up with 5 prints: 2 states of the Kepleresque design “God the Geometer,” 2 states of a version of my bookplate, and one quick landscape with Mt. 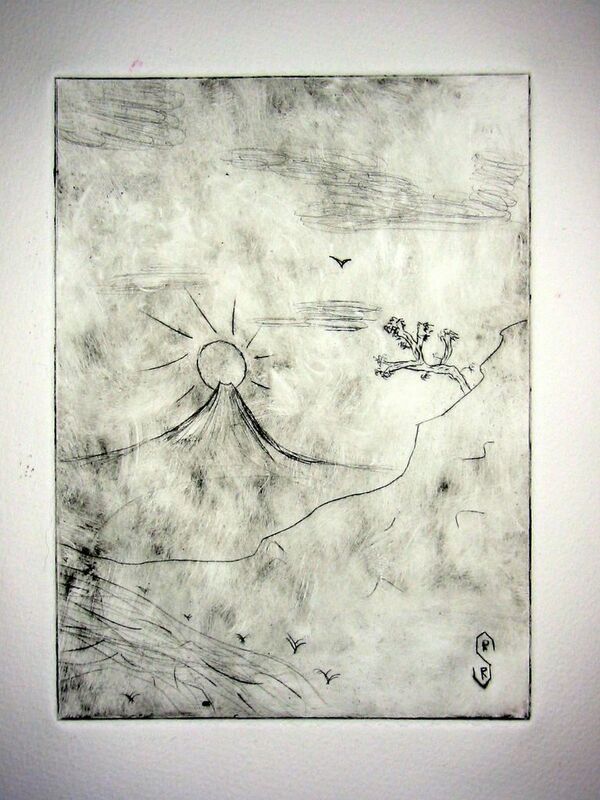 Fuji, inspired by Hokusai. 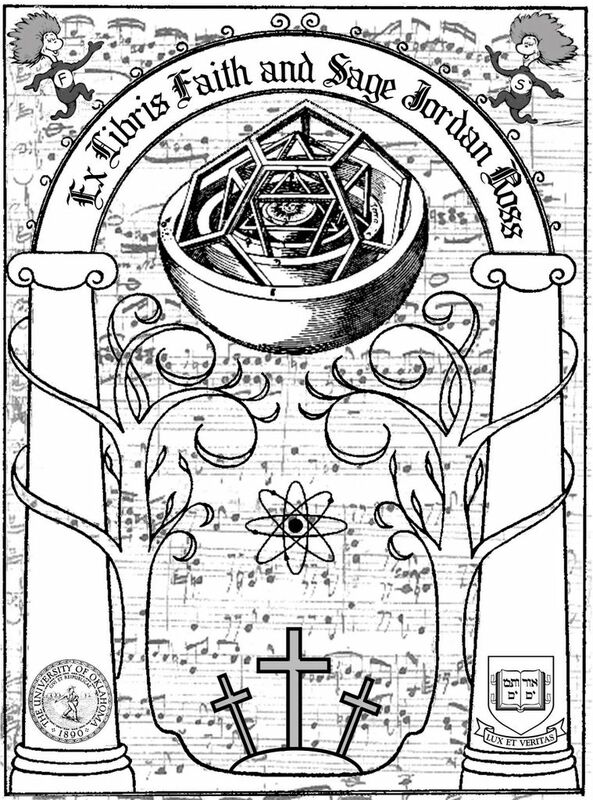 Here is real (current, 5th iteration) version of my ex libris. 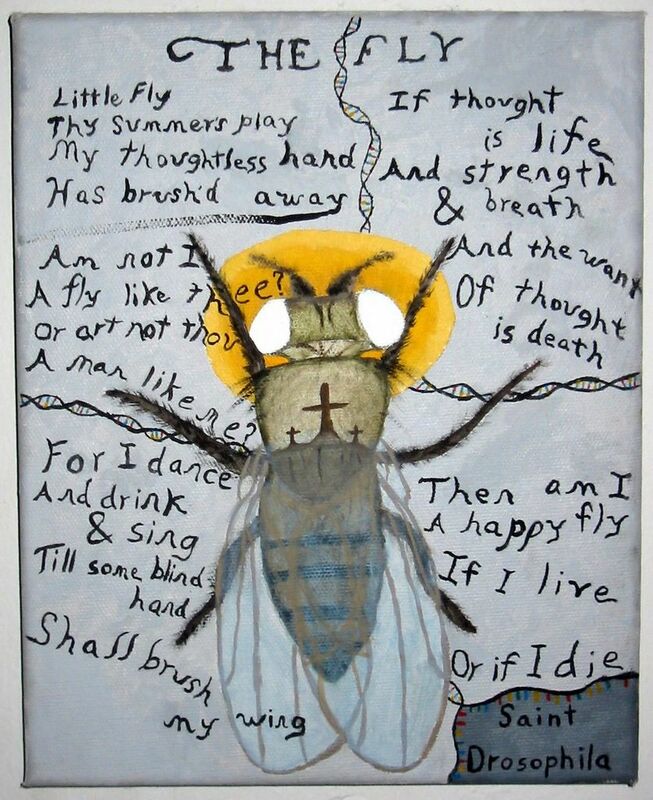 And since this post is about my artwork, here is painting I did last summer, “Saint Drosophila.” The poem, of course, is William Blake’s The Fly from Songs of Experience, while the fly is based on a sketch from T. H. Morgan’s fly room, taken from Lords of the Fly. One set of our downstairs roommates moved out this week, and they left several full boxes outside their door with a “Free Books” sign. I think I was the first person to raid it, because I got a bunch of cool stuff: bunch of classics, including Homer, Virgil, Virginia Woolf, Mary Shelley, and a slew of poets; and a number of scholarly books that seemed interesting, some of which are even history of science-related. Sweet!